The Gray Report: Where does San Francisco rank among world wine cities? A carpetbagger wine critic from New York recently gave San Francisco a middle finger from the window of his moving van about how SF's sommelier culture is dying. I don't want to get into all the rant's inconsistencies; Alder Yarrow has done a nice job of that. What I want you to consider is the question in the headline. Where does San Francisco rank among world wine cities? First, a little perspective. San Francisco is the 14th largest city in the United States, just behind Jacksonville, Florida and just ahead of Columbus, Ohio. Yarrow gives an incomplete list of at least 59 San Francisco restaurants that have a sommelier working the floor. For a city of its size, that seems pretty good to me, though I'd like to see the numbers for Jacksonville. Most reasonable people would put San Francisco without much debate among the top 4 American cities for wine, along with New York (10x bigger), Los Angeles (4.6x bigger) and Chicago (3.2x bigger). A DC resident could make an argument for Washington. I think most wine people would put LA, Chicago and DC, despite their many great restaurants, behind San Francisco for wine culture. Just ask the many foreign wine producers who make San Francisco a key stop on their American tour itineraries. But feel free to make a counter-argument in the comments. That leads me to non-American cities. How many cities, in the entire world, might be better for wine culture? First, let's define "wine culture." Is "wine culture" purely a function of the number of sommeliers, or the number of wines on the wine lists? The number of wine bars? Retail stores? How well you can drink in the city? How many people visit from other cities with drinking wine as a key part of their itinerary? How many unfiltered sulfite-free skin-contact Pinot Blancs you can find in the outer neighborhoods? Here in San Francisco I can go to a bar and get a glass of old-vine Loire Gamay or a carafe of 7-year-old Australian Riesling. I can go to a retail store that has 4 pages of Sonoma Coast Pinot Noirs. These wines are here because San Franciscans buy them. Sheltered New Yorkers, do you want to see what a "rubber stamp" wine list really looks like? Read this. People who do actual research have concerns about the current state of the male millennial wine market. Men in their 20s are choosing craft beer in situations where their predecessors drank wine. This is going on nationwide, but if one was in San Francisco looking for trends, one might see it here and blame the city. 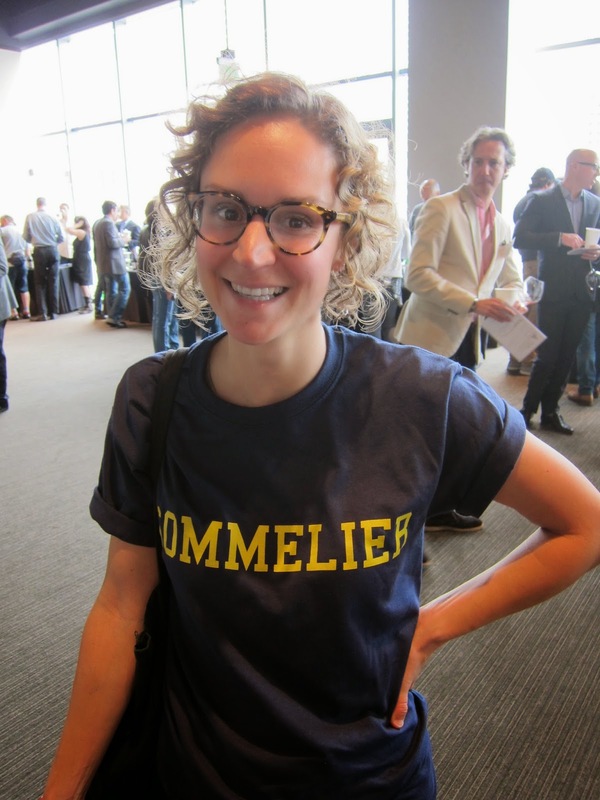 San Francisco sommeliers: they're everywhere! However, the reason I gave the population sizes of the other top U.S. wine cities is this: per capita, your chances of running into a wine lover, or frequent wine drinker, in San Francisco are greater than in any other large city in the U.S., including New York. New York has a confluence of wine importers, great restaurants and adventurous people willing to spend money. But there's a reason In Pursuit of Balance started out in San Francisco, and it wasn't purely to lecture the locals about how we're not drinking the proper wines. I digress. What other cities in the entire world are in San Francisco's class for wine culture? You have to put Paris on the list if you're a Francophile, though good luck finding any wines from south of the equator. One can make an argument for London, with its strong tradition of smart retailers and its consumers willing to drink 5-quid wine from anywhere. Where else in Europe? Italy has fabulous wines nationwide but there's no one city that drinks widely outside its region. I was just in Florence: great northern Italian wines with reasonable markups, which is terrific, but it's not at all international. I would make an argument for Italy as the country with the world's greatest wine culture, but that's a different question. Spain and Portugal are even more insular. German wine drinkers are savvy, but it's a beer culture. How about outside Europe? The last time I was in Sydney it was almost impossible to find non-Australian wines, but last year I was in Brisbane and discovered the country has started drinking more wine from abroad. So maybe Sydney deserves consideration. Also, Australian wines are terrific and we don't get most of the good ones here. But where else? Hong Kong has a great auction scene but isn't an easy place to get a good glass of wine. Tokyo, hah, I lived there, don't make me laugh. Here's my entire list of cities in the world that might -- might -- have better wine culture than San Francisco: London, New York, Paris, Sydney. You can add Chicago and LA if you like. Or more: can you name 10 cities with better wine culture than San Francisco? Give it a shot. And let's take a poll. This blog is read internationally and less than half of my readers are in California. Where do you think San Francisco ranks among world wine cities? Where does San Francisco rank for wine culture? My ranking: SF, NY, Chi, LA, London, several more US cities (Boston, Seattle, Houston, Miami, DC), and then maybe Stockholm. The big cities in europe in wine-making countries are too narrow due to preponderance of local-ish wines. Vancouver is terrible, for example, because imported wines are taxed at 123%, practically forcing the city's residents to drink the not very good local wines. For a moment, Blake, I thought you were going to go off on Jon because your opening line is classic. But you changed direction quickly and raised an interesting question. I guess it depends on the standards of measure before one can even begin to assemble such a list. If diversity, and not volume alone, is the standard, then virtually all US cities outrank anything anywhere in the world save possibly for London, and even then, London is Euro- and Empire-centric. Paris is useless for most of everything except French, which does not mean that one cannot find a good wine to drink there. It just has to be French, for the most part. I would argue that Boston is more broadly representative of what people drink than NYC, which is so hip that it cannot stand itself and is the perfect landing spot for Mr. Bonne. Miami and Seattle belong in that list. Well, OK, NYC is fine as long as you do not want to find New World wines broadly represesented. But SF is number one because it has a lot of everything. And even though we have places like Slanted Door and its refusal to recognize almost anything from CA, we have amazing diversity, and only a few places that cowtow to the Jon Bonne lists of neverheardofs. Jon Bonne is gone. Good riddance. Why do we even discuss what he says? He can go back to NYC and use his pretentiousness to good use. I heard they need some additional people like that. I put San Francisco as #3 in the world. Vienna is first, New York, second, and San Francisco third. Vienna is first because the city is inseparable from its wine culture. There are 250 wine producers within the city limits, almost all of which have outlets where they sell their wine to the public. These heurigen are like the beer gardens of Germany, but they are all about wine. Are the wine lists in Vienna as good as New York or San Francisco? No, but when everyone in the city hangs out at wine bars after work and on the weekends, THAT is a true wine culture, and neither San Francisco nor New York can boast as much. New York just has more of everything than San Francisco, except perhaps awesome California wine. It's got deeper ties to Europe and just more restaurants. If it were the size of SF, then it would be a pretty close race. SF comes in a VERY close third. Left as a comment on Alder's wine blog on San Francisco sommeliers. "As a Somm reading that article, I have to say it was hurtful," wrote Petra Polakovicova, Sommelier at the Ritz Carlton Half Moon Bay. 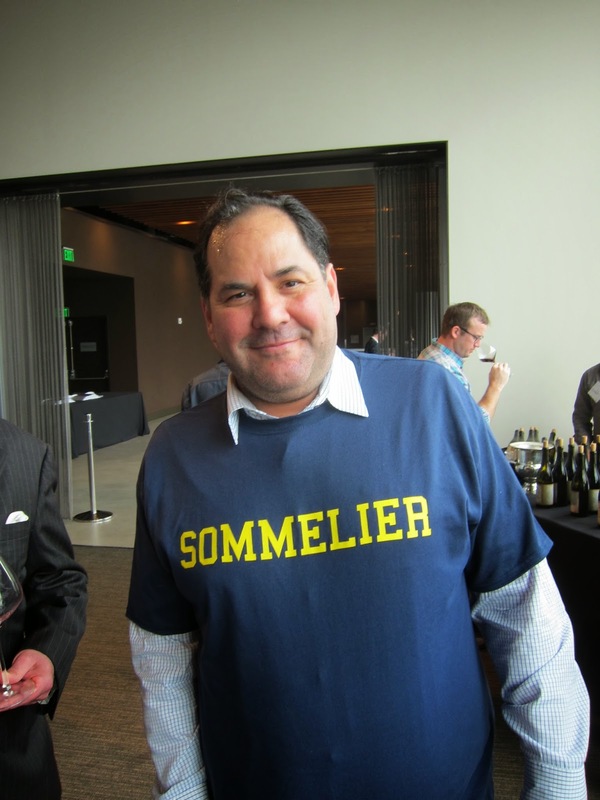 "I've been in the business 18 years now and have been watching the SF sommelier community grow stronger and stronger." "Lead Sommelier at Ritz Carlton Half Moon Bay." Is Petra getting a work colleague . . . or is she moving on? It's pretty hard to assess unless you've spent significant time in a lot of cities. That is also assuming that the cities haven't changed much in between. What I can say, is that I'm pretty happy being in Melbourne, Australia. There are 7 different regions that are within an hour of the middle of the city. Good bars, lots of wine events (I'm just about to head off to one now). One thing we don't see much of is US wine, but most of the rest of the world isn't hard to find if you know where to look. As for size comparisons, that is never apt when comparing SF to Chicago or NYC. SF is a tiny 46 square miles, which is essentially like comparing it solely to the Loop and Gold Coast and a couple of surrounding neighborhoods in Chicago or half the size of just Brooklyn for a NYC comparison. It's much more reasonable to consider SF as almost the downtown region of the larger metro area. One thing it doesn't lack though is hubris and self-regard. It's the top of the global charts there as evidenced by everyone so quick to put it #1. Ever been to London or NYC? For what it's worth, here are what my rankings would be. One other thing, IPOB started out in SF not as a result of any superiority of the local wine scene but for the simple, and quite obvious, reason that SF is the capital of the California wine scene, and it was California wine that was desperately in need of a reality check and reappraisal of winemaking philosophies. Where was such a movement to begin? Chicago? London? NYC? Those cities just abandoned California wine and went on to more interesting things with no desire to change or improve California wine. Really interesting discussion, Blake. Looking forward to finding out about SF wine culture for myself. Having spent the last (almost) 9 years in France (almost 7 in Burgundy), and travelled frequently throughout Europe, I have been able to compare my Antipodean cultural baggage with European vinocentricity. Personally, I'd never consider it a competition between cities, as I tend to favour local wines wherever I travel. However, when pining for a drop of nostalgia, it's always heartening to know that wines from just about anywhere are available across the trench. The perspectives of your readers provide wine for thought, and I'll be keeping these in mind as I get to venture across the U.S, keen to explore this concept of wine culture. Great read, as always. Love your work! Thanks, Prof! I'm with you: wherever I am traveling, I like to drink local the entire time. Of course that's a huge advantage for SF, as even a detractor called it the "capital of the California wine scene." I'm surprised by the number of No. 1 votes SF has gotten; I didn't vote it No. 1 myself. But there is some logic behind it. All these cities mentioned are great places to drink wine. In my travels I have found that like SF the cities/towns near wine regions have the most wine for sale although usually local wines dominate. E.G. Queenstown (Central Otago) or Stellenbosch. The exception is Melbourne which as Paul has noted is surrounded by wine regions. But it has the best selection of any our cities and most of the importers are based there.